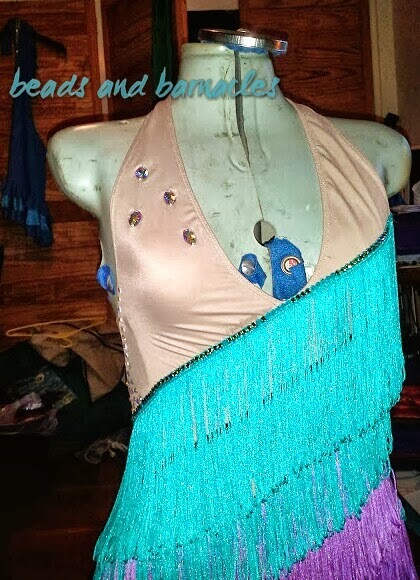 Carrying on from my previous post about the stoning of my latin dress, this post will talk more about actually putting the stones on my dress. 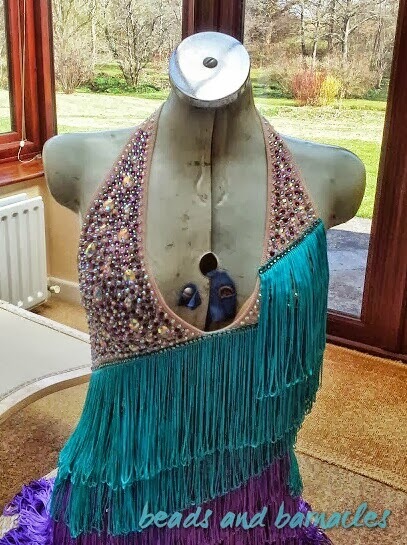 I put my dress on my dressform for applying the majority of the stones on the top section because that way it would hold the shape of the dress better when I was sewing and glueing the stones on, leaving my hands free to sort the stones. 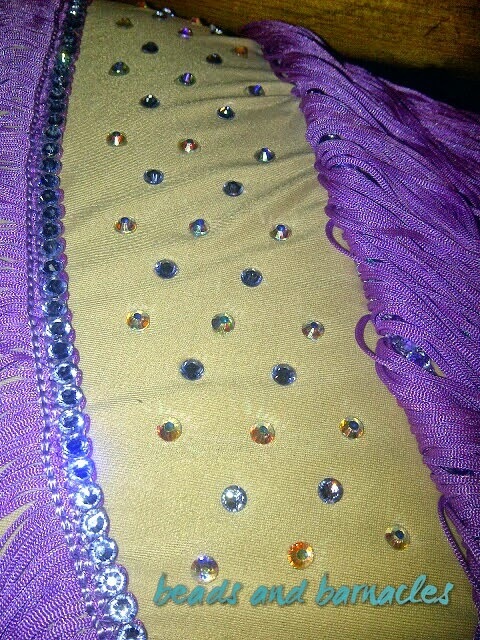 The next bit I started working on was the sew on stones above the fringing. I have large and smaller preciosa stones. The large stones were sewn on, at fairly regular intervals. 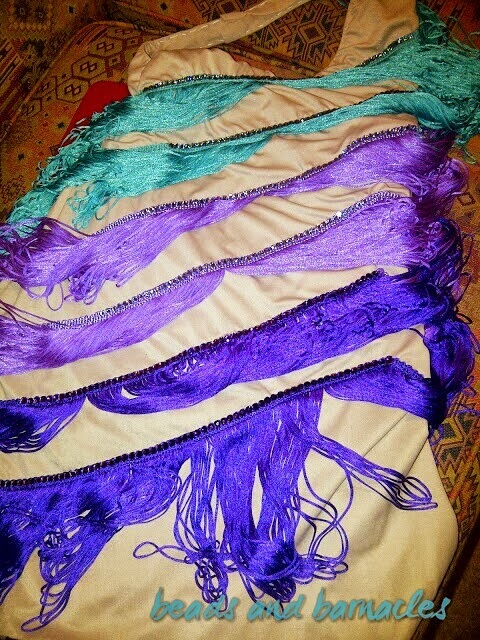 They are sewn through both layers of the leotard about 3 times at each end and secured at the back of the fabric. 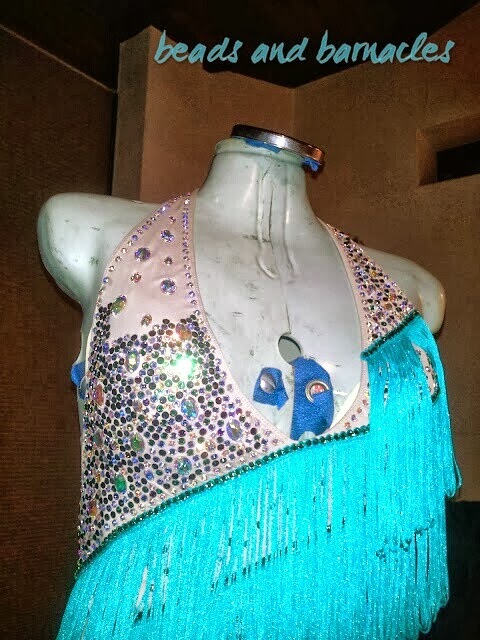 The larger section of fabric (on the right of the dress) used the larger stones with the smaller stones sew in between them and the smaller section of fabric just used the smaller sew on stones. 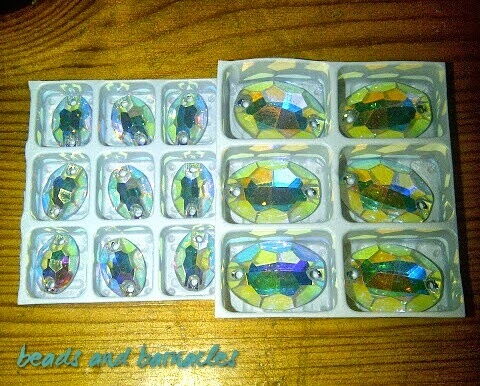 The rest of the pattern will be a ‘random’ assortment of the Erinite, Lavender, Amethyst and crystal AB stones. Just trying not to have too many of the same colour neighbouring each other. The dress really starts to look much more sparkly now it has the stones on it. It was very time consuming, but you get into quite a good routine when you have been doing it for a little while. It’s important not to put too much glue onto the stones though otherwise it can spread out from under the stone onto the top face of the stone or neighbouring stones which doesn’t look very attractive. Here the small side is complete. It is looking very sparkly! 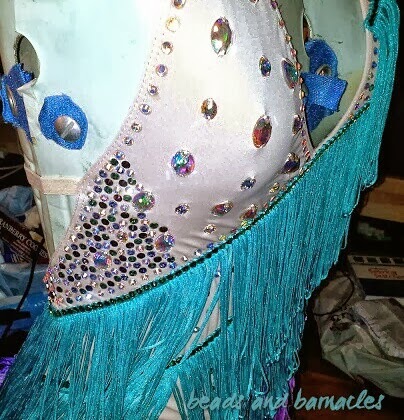 The next thing I decided to do was add a bit of sparkle under the fringing. 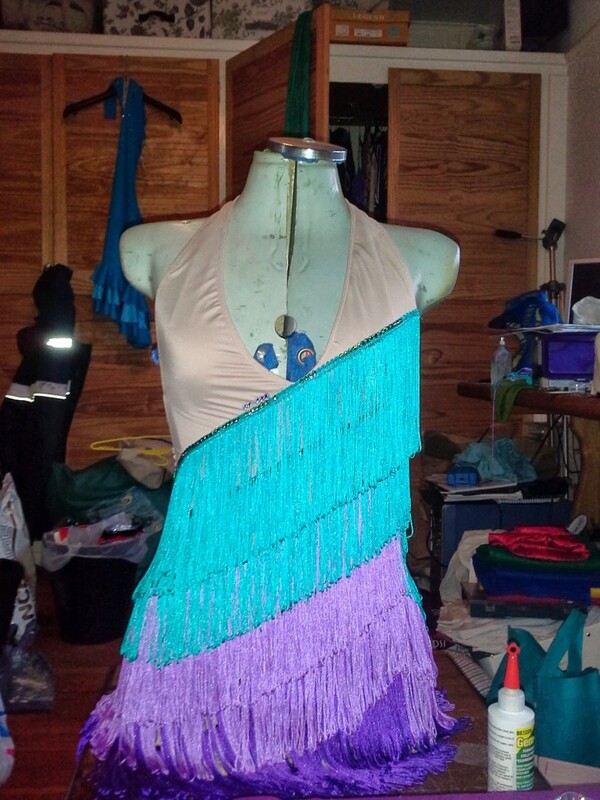 So under each layer of fringing I did a loose pattern of crystal AB and the colour corresponding to the fringe layer. This was very sparsely stoned because otherwise it would be very heavy and expensive, also the fringe would probably get caught on the stones. 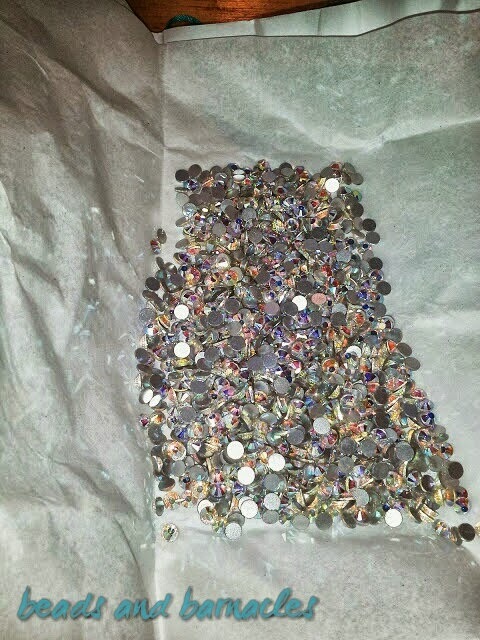 But a small amount of stones will definitely add a little bit of extra sparkle when I spin on the dancefloor. 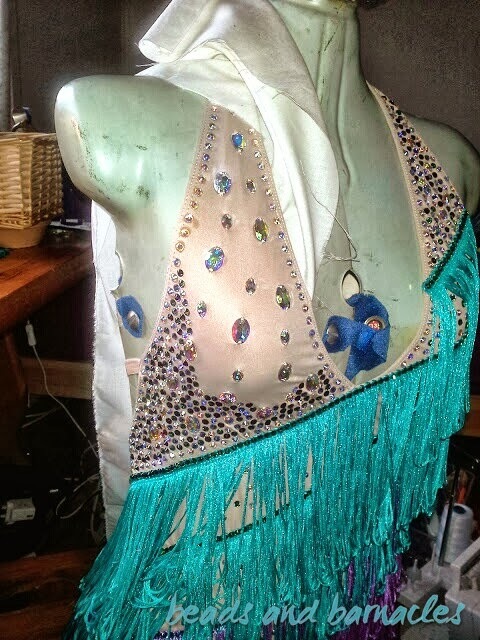 The slow progress on the stones… Often I would also lie the manequin on it’s back to make the surface more horizontal. This minimises the risk of the stones falling off when I was sticking them on. 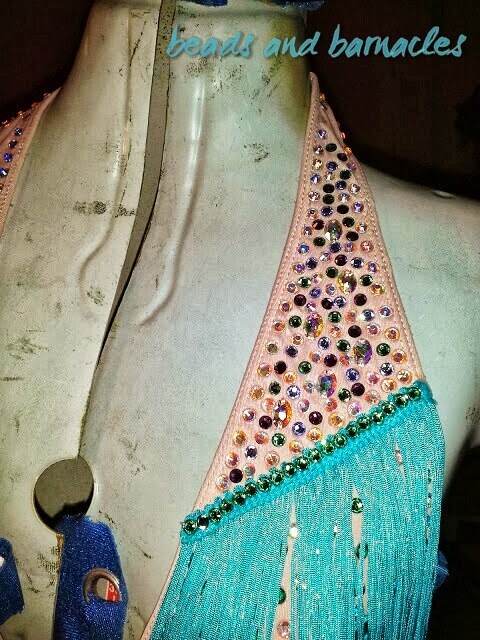 Very nearly finished with the stoning, just a little bit more to do! Just a few more adjustments to make to the neck and then it will be ready to be worn and I’ll get some photos of it in action! 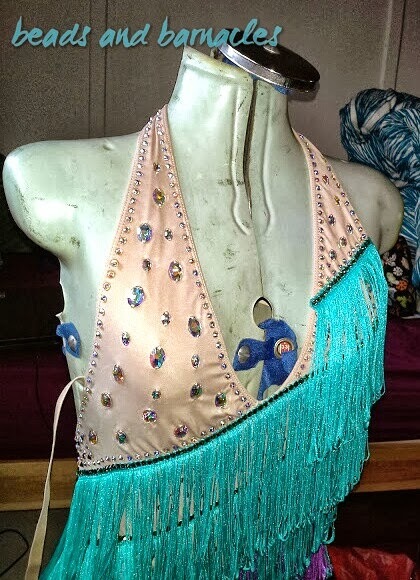 Hopefully it will look great on the dance floor! wow – that looks like a serious amount of work! look forward to seeing it in action! Yeah it was a lot of work, but definitely worth it. You actually get into quite a rhythm with it after a while.